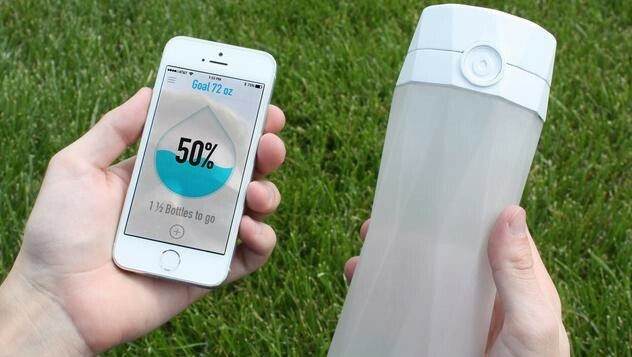 HidrateMe is a smart bottle for water that will remind you to hydrate every time it feels that you are dehydrated. Although it is not a bottle that everybody needs, workout fanatics are going to find it useful. We are talking about smart bottle so it is not strange that for calculating the amount of liquids that you should take, it measures a lot of parameters like height, weight, altitude and humidity. The bottle has application for smartphone and you can connect it with Bluetooth. Additionally, it has the option to connect with workout wristbands of Fitbit or Jawbone for more accurate calculation on the needs for water. It also has a battery that can last for over a year with a single charge. It is not surprising that the project already collected the needed money to lunch, so you can order this bottle for 40 dollars. Even though a lot of people don’t need it, it shows how the technology can became part of our daily routines like drinking water.